Hot Spring Spas feature unique natural water care alternatives for hot tub water that is… simply better. The EverFresh® System an option on every spa we sell. 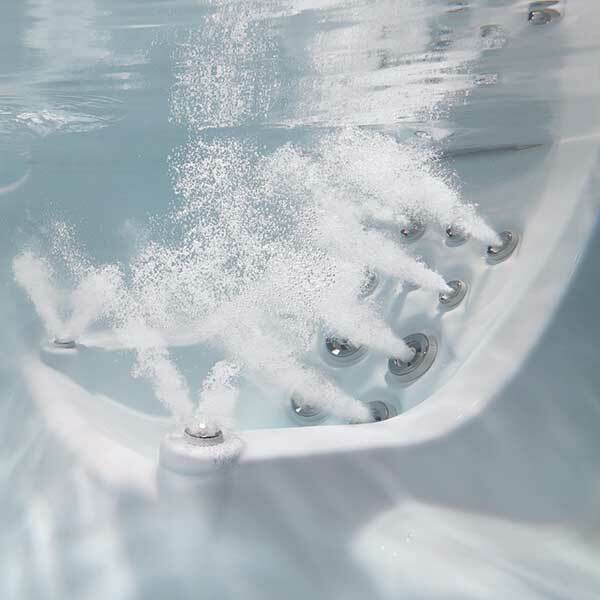 Virtually chlorine free, it’s our exclusive, more natural approach to making routine water care easier and keeping your spa water crystal clean. Our exclusive all natural SilkBalance water care® is a natural water care product that preserves water freshness and reduces the need for high sanitizer levels. It makes the water feel like silk and your skin feel soft and young again after every soak. ACE Salt System revolutionizes water care by making it easy to have the cleanest water found in any spa in the world. A Hot Spring Spas exclusive, ACE is the first fully integrated salt sanitizing system using a diamond electrode to break salt into powerful water cleaners.